I’m not sure who was more excited by the children breaking up today, its six and half weeks with my little munchkins and I can’t wait to spend our days together. 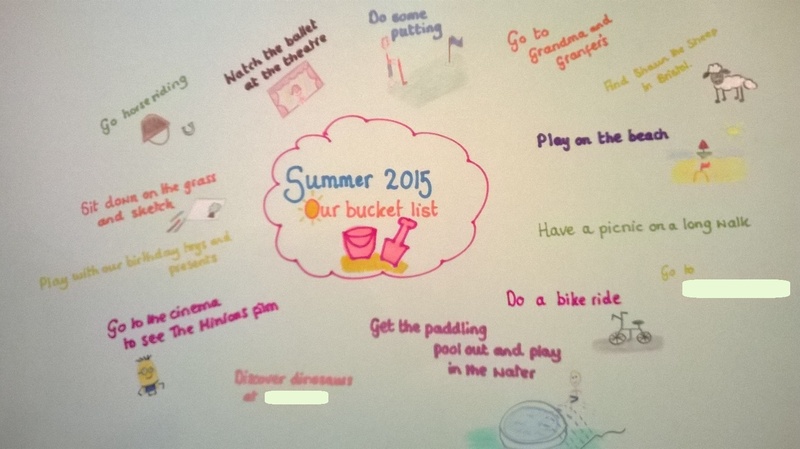 We’re excited about our plans and to ensure we try and have a go at everything, we created a bucket list this evening. The children’s contributions were brilliant, Little Man chose his favourites, a farm and the beach but Little Miss surprised me with her choices, she really wants to sit on the grass and sketch, have a long walk and picnic and do some horse riding which is a favourite at the moment. We also counted how many holidays we have and put a countdown tile on my phone so we can savour each day. Here’s to a happy, sunny and memorable Summer, 48 days of Summer sparkles.